We block mount, photo mount or laminate mount anything that’s printed or on paper! Block mounting / photo mounting (also known as laminating mounting) is the most professional looking cost-effective way to mount any type of photograph, picture, graphic image, or other printed paper. Whether you’re block mounting or photo mounting your favourite photographs, pictures, posters, limited edition prints, or works of art, for your home or office, Melbourne Indigo Block Mounting and Photo Mounting will provide exceptional quality, superior customer satisfaction, on time delivery, and great prices… guaranteed. Unlike most other framing shops, all of our mounting is done by our expert technicians on site, which eliminates unnecessary shipping and handling of your project (and any damage that it might cause), and minimises your turnaround time. What is block mounting, photo mounting and laminating mounting, and why choose it? Block mounting is the process of adhering (laminating) a photograph, poster or any other printed paper onto a rigid backing board, which in most cases would be a “block” of MDF wooden board. Photo mounting or laminating mounting are more general terms that would encompass adhering to other backing boards in addition to MDF, (e.g., foam core, gatorboard, etc.). As opposed to picture framing, where your photo, poster or other printed item is mounted within a mat, covered in glass, and surrounded by a decorative frame, block mounting / photo mounting provides a clean frameless modern look. It’s light weight, and can be heat sealed with a transparent laminate for additional protection and durability, (which is another reason why this process is often called laminating mounting – see laminating services for further details). 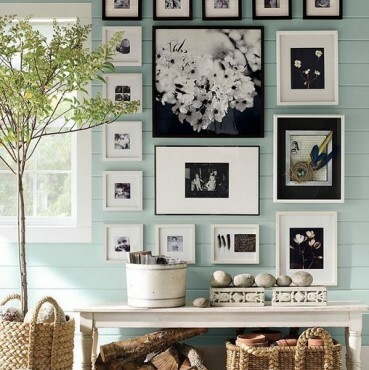 Aside from being a popular affordable alternative to framing, block / photo mounting’s extra depth, dimension, and clean frameless appearance is often preferred for many applications. ring in your photo, poster, or other printed piece to one of our photo / block mount locations, or email us the file and we can print it for you, (see digital printing). Medium Density Fibreboard (M.D.F. ), or MDF Wooden Board. MDF mounting laminates your piece to medium density fibre board (M.D.F. ), a composite wood product made from wood fibres glued together with resin under heat and pressure, creating a smooth, uniform surface that resists warping. Standard thickness of MDF wooden board for M.D.F. mounting is 10mm, however, other thicknesses are available upon request. Foam Core, Foamcore, or Foam Board. Foam core mounting (also known as foamcore or foam board mounting), laminates your piece to foam core, a lightweight, sturdy, rigid board made from adhering a sheet of paper to each side of a foam core. Standard thicknesses of foam core for foam core mounting / foam board mounting are 5mm and 10mm. Gatorboard, or Gator Foam. Gatorboard mounting, or Gator Foam mounting, laminates your piece to a backing board similar to foam core. Gatorboard / Gator Foam is like a foam core board, only heavier and more durable as it is made from bonding a sheet of luxcell wood fibre veneer to each side of an extruded polystyrene board. Standard thicknesses of Gatorboard for gatorboard mounting / gator foam mounting are 5mm and 10mm. Other. There are various other specialty backing surfaces used for laminating mounting that are available upon request, including Kapa board, Kraft board, Printboard, PVC, Styrene, Aluminum Composite Panels, Card mounting, Acrylic, etc. If you’re unsure of the most appropriate backing board for your block mounting / photo mounting application, please feel free to contact and consult with our block mount / picture mounting specialists. Would you like your MDF board to have black or white edges? Would you like 3D Block Mounting, whereby a 20-50mm spacer box is added to the back of your mounting board to allow your picture to stand out from the wall, giving it more depth, and the appearance of “floating” off the wall. For additional premium services or finishes please consult with our expert mounting specialists. Your piece is then acid-free glued and heat vacuum pressed onto the backing board of your choice, and finished to your requirements. The appropriate picture hanging system is attached, and then your piece is carefully wrapped ready for pick-up or shipment. For frequently asked questions relating to any type of mounting, including picture mounting, poster mounting, canvas mounting, art mounting, foam core mounting, foam board mounting, printing mounting, MDF mounting, or block mounting posters, click here... or better yet, give us a call.